Why do so many app tutorials and screen recordings look and sound so bad? A successful home/office studio environment requires a proper recording environment, consistent audio/display setup, and extensive planning. I propose adopting a flexible and modular process for creating instructional content. 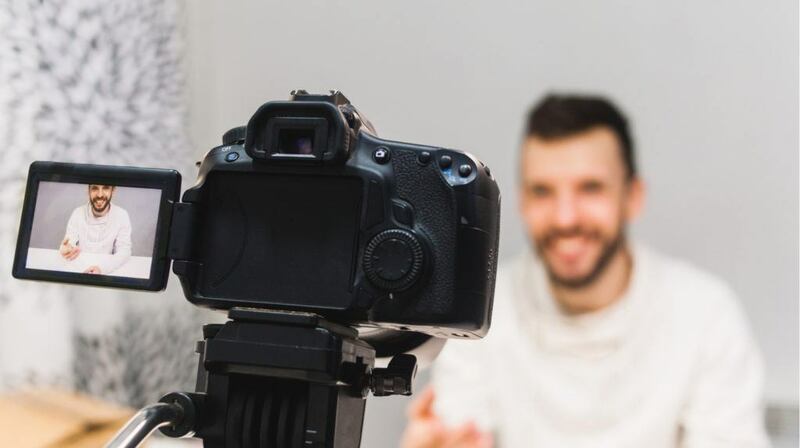 Consider that what is required to create quality video tutorials relies on three key parts much like a three-legged stool. The first article in this series, Update To Creating a Quality eLearning Home Office Studio, covered the hardware and working environment. The second article, Recording Professional App Training Videos, demonstrated using software tools to record screens and voiceovers. This last installment, the third leg of the stool, is the most challenging and the most important. With careful planning and a consideration for design, you can optimize the execution of a video making project. Lack of planning can result in re-recording, poor quality, disjointed flow, and lots of wasted man-hours. I would venture to say that LinkedIn Learning (Lynda.com) spends an unusual effort in planning. This ensures that the actual act of recording and production is effortless. Competing, lower-cost education video training providers haven't figured that out. Yet. This simple document is the heart of the project. If you are familiar with Simon Sinek’s brilliant Start with Why, this is the document that should explain the benefits, target audience, passion, and goal of the project. Without this stated focus, prepare to struggle with completing your work on any timeline. I’m serious. And if you are entertaining outside funding for your work, you’ll need this document. Few of us take the effort of scripting seriously. Most of us prefer to "wing it". Because I move the sequence of video parts, I’d be lost without a killer outliner app. The outline holds each topic's voiceover script. PC (Windows) users are going to not like this, but I swear on using OmniOutliner on the Mac or iPad. Especially for closed captioning, you’ll need to simplify sentence structure. Use the Hemingway desktop app to help your script hover no higher than an eighth-grade reading comprehension level. Although this is optional, visually-intensive recordings (like PowerPoint) may use a series of sketches showing transitions and artwork. The most impressive tool I’ve found is Autodesk’s Sketchbook app available on PCs, Macs, and iPads. For some odd reason, this fabulous software is free. Over the years, I became passionate about reusable, object-oriented programming. There are many benefits to examining the functionality of code as black boxes with published interfaces. Design it once, and reuse everywhere. Test it once, and reap the benefits of long-term quality. Ensure consistency among your projects to establish a common look. 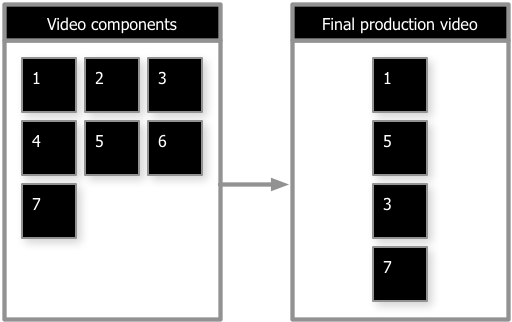 App building becomes easier by stitching together components thus removing the need to reinvent the wheel on every project. The same approach works with video production. I found that some parts were common between "how to" tutorials, product overviews, and even crowdfunding video shorts. In fact, some of these video snippets could be shared among all of my eLearning projects. Examples include prologues (introduction) and epilogues (closing). Using the powerful Camtasia app (PC or Mac), you can develop a multitrack component and save it as a library item. Whenever you start a new project, drag it on the timeline, and customize it as you see fit. 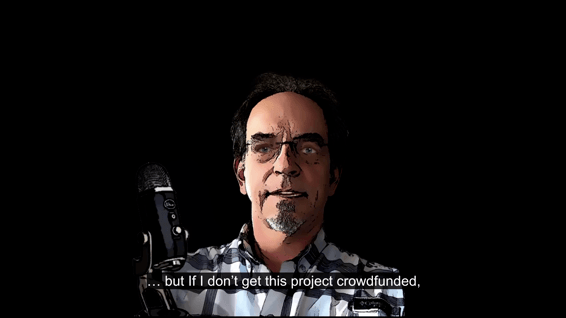 This has worked wonders for one of my apps has simplified the creation of a crowdfunding pitch, product overview, and a how-to instructional video. To vary the introduction tuned to a specific audience, I created three types of prologues (abbreviated, normal, and longish version with a countdown) for fun. Feature-rich Camtasia makes professional video production possible for us novices. For example, transitions, animations, and closed-captioning is a breeze with Camtasia. It is good practice to ensure that you don’t discourage any potential customers by embedding closed-captioning. 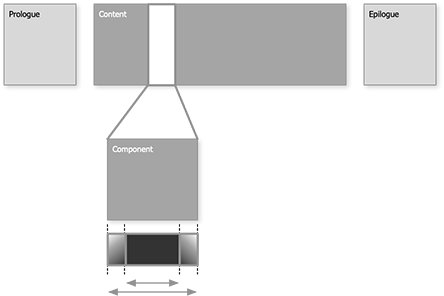 Designing for flexibility in the planning phase of your work gives you a lot of options. In marketing and especially crowdfunding videos, rule #1 is to establish a rapport with your viewers. There’s a reason LinkedIn Learning films the course instructor talking directly to you at the beginning of a training video. That human connection is absolutely necessary! I invested in a green screen and high-quality webcam just for that reason until I realized a better, if not riskier, technique. With the assistance of AI and software gaming rendering technology, it is now possible to create realistic live recordings using facial animation. Being used by a Chinese state-run news agency, I decided to try it out with an absolutely amazing tool called CrazyTalk from Reallusion. With a frontal photograph and some clever facial animation configuration, a personalized voiceover can be rendered in a very lifelike way. In recording PowerPoints, or demonstrating how an app runs, I struggled with what I call the "bobblehead syndrome". I know that sounds rather funny, but my audio recording quality suffered as my eyes darted between the screen and the mic. 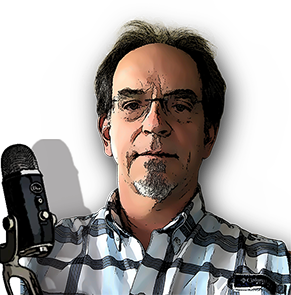 I asked the noted eLearning video recording expert, Chris Mattia, about the problem. His suggestion was to record the audio separately. That seemed illogical, but I tried it anyway. Surprisingly, it was actually easier! Practice the voiceover script and record the script as a voiceover using the PromptSmart app on your iPad. Then record the screen (app or PowerPoint) similar to the pace of your voiceover. Camtasia makes it easy to align the voiceover with the screen recording. It can be easy to forget where your file assets (sounds, videos, components, graphics, and recordings) are located on your computer. It is also very frustrating to look at computer files and not have a clue how they were created. For example, which computer did you record the PowerPoint on? What display resolution was used during the recording? If a screen capture is used as a still in the video, you should include the source in the file name: App Main Screen Capture (144ppi, MBPR13-MOS1014).png. This means that the app's screen capture was taken on a Retina (144 pixels per inch) display and not on an external 720p display monitor. The computer was a MacBook Pro 13 and its operating system was macOS 10.14). You get the idea. Don’t forget to take version backups of your project work. We’ve all suffered when key files were accidentally overwritten or corrupted. I do hope this article helps you organize and plan your next recording project.